You can do it by adding such a trait to Orys Baratheon and Argella Durrandon's offspring and should go from down there, no? 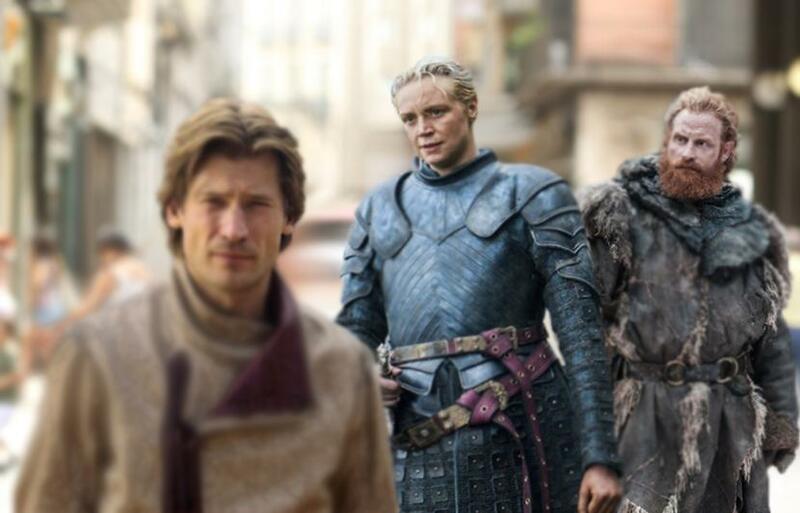 I think you could do this by making an event that immediately triggers for any character that has Dany as their mother that adds said character to the bloodline. That looks really helpful, I reckon looking at it that it would also work for the Baratheons getting Durrandon blood so that should be two birds with one stone, thanks! Will be checking this one out soon, great work! Looking excellent! Especially love the Renly bloodline, was considering creating one myself for him. I know you want to focus more on legendary bloodlines or people who have descent from the great heroes, given these choices for Young Griff and Jon, would you maybe consider a bloodline for Rhaenyra Targaryen if she wins the Dance of Dragons? Would be neat if she could pass it on to her Velaryon heirs. Not sure what the effects could be: prestige, increased opinion with female vassals if possible, maybe allowing access to Enatic-Cognatic succession or even Dornish succession similar to the Blood of Bayajidda and Magajiva in the base game? I also noticed some of the base game bloodlines allow access to Sky Burials, which are used by the Dothraki—we know from Fire and Blood that the Targaryen's have their dead cremated. The Sky Burial events could possibly be used as a template to create a Cremation Burial for the Targaryens or Valyrians in general. For House Qhaedar in Volantis, there's Horonno, the Triarch who ruled for forty years and was trampled by elephants when he declared himself Triarch for Life. For Myr, there's the Blood of Prince-Admiral Craghas Drahar for House Drahar who commanded the armies of the Three Daughters and scourged the pirates from the Stepstones. His period of 'peace' in the Stepstones was notorious for the tolls that the Three Daughters demanded, most especially the Lyseni who pressed people—including a niece of Lord Swann into their pillow houses. For House zo Loraq in Meereen, Hizdahr has several 'famous' ancestors such as Mazdhan the Magnificent, Hazrak the Handsome, and Zharaq the Liberator. Could probably be rolled together in a general zo Loraq bloodline. A bloodline for the Mallarawan in Qarth for the Pureborn would be interesting as well, as the Pureborn was supposedly descendants of Qarth's ancient kings and queens. If you're looking for burial ideas, perhaps an event to inter a Stark in the crypts in Winterfell? You could also have another event where the current Lord Stark can choose to break with tradition and lay a close relative there even if they weren't the Lord/King, like Ned did with Lya. Do we know how the Dornish bury their dead? Maybe they bury their dead in the sand or mummify them like the Ancient Egyptians in our world? Maybe the Baratheon's and Durrandon's on the other hand through their dead off a cliff in a Storm? is it possible to create a bloodline for anyone who wins the war for dawn? It should be possible, to do, I'll give it a general opinion boost, nights watch boost and cold gods penalty, out of interest what are your thoughts on what it should be called?